Wintellisys .Inc Technology Services: How Managed Services Are Imperative For Business Growth? How Managed Services Are Imperative For Business Growth? As IT needs are ever-evolving, it is imperative that business must have strong plans to stay up-to-date with the latest inventions. Many growing business owners and managers are overwhelmed by the enhancing complexity of their IT surroundings- between an ever-expanding array of desktops, notebooks, servers, handheld gadgets, software and the new requests of remote access. And to handle all these IT managed services is the perfect solution. Managed services software is a facility that allows a company to manage its information technology or IT services on behalf of other companies over the internet. This makes a managed service provider the corporation that provides permanent outsourcing for IT functions. These kinds of managed services mainly focus on to generate revenue, monitor and repair things practically or an online basis. Features associated with the IT managed services are development management, and software enables the providers to set up remote desktop and network as well as security monitoring services. It is also equipped with some advanced facilities such as; it provides technical assistance, data backup that is remote in addition to patch management services. There were other services also that lead to the development of the management services. Although there are ample of organizations running that offer reliable managed service, but Wintellisys’ Managed services enable you to an efficient, stable and a highly scalable IT organization. Their proficient team takes care of your everyday needs, i.e., from infrastructure management to desktop management, they help in either way. Their professional team makes all possible effort to provide you good management service, so that you can keep concentrating your focus on the critical issues that will help to grow your business. If you are still confused about this service, then here are some benefits associated with the managed services that will tell you how important to attain this in your business. Have you ever thought how much you invest in buying a new server and organizing interview session to appoint recruiter? 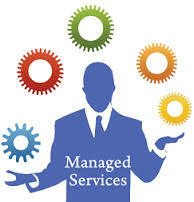 Hire an effective managed service for your business is an affordable way to monitor your management services. Why to spend unnecessarily while you can have the benefits of these services? The best part of having an IT services partner is that they received support is very quick. An efficient partner can analyze and repair most issues using remote management tools, saving time as well as money. Generally IT services come with a fixed cost that makes easier to estimate your IT financial plan for the contracted period, particularly as you don’t need to spend IT roadblocks. When an association includes in repair and maintenance, there is a huge probability of losing mission critical data. The possibility of data loss because of hardware and software failure is eliminated by managed IT service provider. According to me involving managed services at your business is definitely increasing your revenue and shorten your IT solutions. If you also want to take benefits of this service, consider Wintellisys once. They proactively scrutinize your work environment according to your needs and provide the best managed service packages for you.